Had the debut feature of Andrei Tarkovsky been merely regarded as one of the first of many critical essays about the impact of war on the innocence of youth, it certainly would have been enough. But “Ivan’s Childhood,” one of the saddest and most honest tragedies ever to come out of Russia, rose above even those standards – it was the caveat of the profound possibilities of eastern cinema, effectively heralding the discovery of one of the most perceptive minds to ever stand behind a movie camera. While the very concept of war films was certainly nothing new to industries overseas – especially given that most countries could only reach wide distribution by dealing with such material – seldom had they been devised under the weight of such heartbreaking humanity, or in the space of impeccable artistry. Before his undertaking, the genre had mostly been dominated by the onslaught of propaganda agendas, or movies about the strategy of the act; more routinely they were crude excursions, cut together like sensationalist news reels. But after his audacious foray into the most unfortunate reaches of the victim pool, perceptions changed so intensely that it paved the way for nearly all anti-war films that would follow. Rare is it for any single achievement to drive the hands of the cultural zeitgeist, and even more elusive is the realization that so much of today’s standard still rests firmly on any single achievement. Given that insurmountable triumph, one is left puzzled by the irony of the director’s limited accessibility in modern conversations. Great filmmakers of the 20th century are hardly sparse or intangible; in many cases, they invite the challenge of overwhelming our awareness. And yet Tarkovsky – a graduate of film school with a passion for photography – is not a name readily acknowledged by the broadest tier of film enthusiasts. It’s as if he has fallen out of fashion with the times, persisting in the vague memory banks of the past as a symbol of what once was rather than what remains possible. More dedicated followers of the medium must inevitably arrive at his library if they want to be taken seriously, but for many of them the works have become more about the precious discoveries of technical dexterity (among a host of talents, his was an eye of inventive artistic prowess). But is anyone inclined to seek out a story of how a boy is shaped – and eventually consumed – by the devastating effects of war when it has become so familiar and commonplace now? What relevance does it serve in the age when audiences are enraptured by the likes of “Pan’s Labyrinth,” in itself a recreation of the same underlying idea? The strength of “Ivan’s Childhood” is that beyond mere notions of patience or obscurity, a dedicated viewer is likely not to forget the experience of seeing it. There is almost an ironic twist in that prospect; audaciously, its author seems possessed by the incessant conviction of his hero, and then vehement about squandering it all in the convulsions of a narrative nightmare. 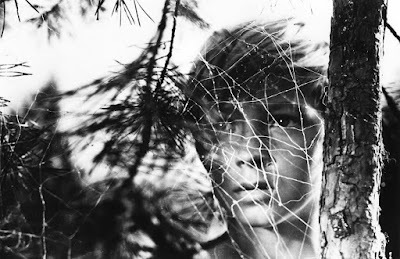 The movie opens with a single shot of a young face peering over the branches of a tree in the sunlight, where a spider’s web is drenched in dew; his eyes filled with wonder and his heart carefree, young Ivan gallops across open fields bathed in sun, and catches the sight of a kindly woman that appears to be his mother. They chatter innocently and exchange gleeful smiles, emphasizing an almost foreign docility; this is clearly a memory rather than an event occurring in the moment. Then it is overtaken by a darker juxtaposition, as the young hero is pulled back to the present in order to creep silently through a damp forest while fog clouds his vision, and explosive rumbles in the distance indicate danger. What has become of the boy whose time was apparently once occupied by whimsy and joy? It has been replaced by the reality of a Nazi occupation, where he is encouraged to be a scout for the Russian army while ambivalent commanders – usually at a distance – use him to gather information on the movement of the enemy. The contrast of the memories (or are they merely daydreams?) and the reality are emphasized by artistic divides. The early images function like crescendos in a cheerful symphony, brought to fervor by sweeping angles and full depth of field. The scenes of realism, meanwhile, are murky and overcast; the possess views of dead trees, muddy waters and towns flattened into piles of rubble (the movie’s most famous shot, featuring Ivan walking through an archway of gnarled wood planks, exaggerates the insanity of the situation). Tarkovsky’s purpose is twofold: 1) it creates full realizations of his world according to differing perspectives (joy versus pain); and 2) it paints a portrait of a character who understood both well before he was on his way to being confined to the latter. When he is brought into the custody of Russian commanders after nearly being captured on a nearby riverbank, there is no attempt in him to mourn what has been lost. This has always been the real world, and small little fantasies function only as a reprieve, not as a desire. Three men within his sphere become surrogate guardians. Galtsev (Ye Zharikov), a young soldier in the brigade, takes a liking to him because of his impenetrable chutzpah; Kholin (Valentin Zubkov), his direct commander, is so enamored by his charm that he projects familial loyalty onto him, as if reminding one of distant loved ones; and Katasonych (Stephan Krylov), frequently on the battlefields himself, longs for the opportunity to remove young Ivan from this world and give him a future that does not include sneaking around swamps or through concentration camps. The catalyst of this predicament comes to a head when a lieutenant informs him that his field work is done, and he will be shipped off to military school after they have all reached safety. Ivan is insulted by the suggestion; who are they to take away his place in their outpost, especially when his small stature (and skill for stealthy maneuvers) has proven to be so useful on the battlefield? Because he is so eager to be part of his nation’s victory against the Nazis, his reasoning is too stubborn to be swayed by the practicality of safety. That sits uncomfortably with those that watch over him; surely he is so insistent because of what the war has already cost him, and how would they live with themselves if he were to go out on yet another mission and never return? Much is required to happen between the realization of this conflict and the eventual reality of it, and in the interim Tarkovsky fills his picture with spectacular visions. There is poetry to them, especially given how fluidly he is able to transition between the morose values of the story and the intoxicating nature of Ivan’s imagination without offsetting the emotional momentum. Allow yourself, for example, to drink in the details of a later scene when he visualizes being the passenger of a horse carriage coming out of a forest and onto a beach. The forest backdrop is shown inverted against the foreground of young children smiling in glee, and when the shot turns to the beach to show apples spilling over onto the sand, the clarity in the composition is startling. The cinematographer was Vadim Yusove, who would become Tarkovsky’s protégé for most of his career, and in those early frames are the fruits of something dreamy, almost ethereal. As they happen, we are infatuated by just how vivid – indeed, how rich – they seem to be, as if projections of memories that might have occurred to us. No less than four sequences arouse those feelings, and even when they are brought on by bleaker subtexts there is a sense of freedom to them that fills one’s eyes with awe. But then the movie must remind us of the severity outside of those fantasies, usually in images that are steeped in poetic irony. Consider a stunning sequence in which two of the minor characters converse in a Birchwood forest just beyond the encampment; their dialogue is a loop of traditional human small-talk, but both Yusov and Tarkovsky frame the interaction so impressively, and there is a moment when the camera dives into a trench in order to capture a flawless shot of them embracing in discomfort. Other specifics, meanwhile, come to clarity because of just how distinctive they seem in the thick of such gloom. A vision of the sun setting behind an iron cross. Interior shots of characters conversing in front of single points of light. Warnings scribbled on a wall by victims of a firing squad, ominously begging: “Avenge us.” An eerie view of a key character slumped over in a trench after being shot in the head. There is no gray area to these moments; only a singular perspective. And if the subjects of artists indeed depend on the slant of their creators to influence the meaning, then here is a filmmaker who peered deep into the possibilities of film arrangement, and emerged fluent in the language. Some of the minor subplots inspired less assurance than the visuals, however. Based on a novella that was being optioned for adaptation well before its eventual director came on board, the story of “Ivan’s Childhood” was viewed as problematic and incongruent with the desires of its earliest orchestrators; generally downtrodden, the narrative also touched briefly on elements of romance and comedy, which many found discordant with the atmosphere of the hero’s overwhelming plight. Some directors might have cut them outright from the picture, or worse yet played them straight, offsetting the rhythm. But Tarkovsky – even as a mere novice – knew instinctively that the benefit of their inclusion would give him an opportunity to disguise the perspective of his characters for the most relevant framework. Consider the Birchwood forest scene as the primary channel, if you will; as Kholin engages with the female medical officer walking among the trees, their dialogue briefly takes on a quality of unsettling candor. His approach is overpowering and brash, and her eyes offer threatening suspicion. What, then, inspires a follow-up scene where she is playfully frolicking among the trees, as if brought to life by the strange flirtation they shared? 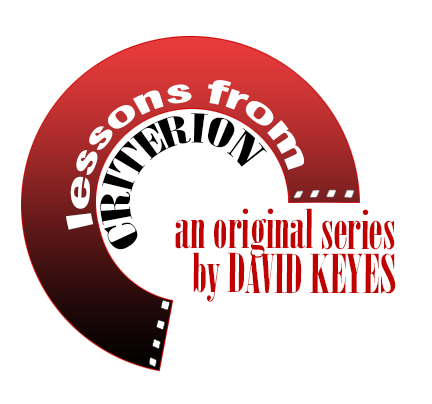 In a world as bleak as this, it is clear that characters have become so alien to simple sensations that they are eager to experience anything that does not involve being at the wrong end of a pistol. But what of poor stubborn Ivan? What destiny is meant for him? Is he shipped off to military school as his superiors wish? Do his memories, as naïve as they seem, exist to offer us a final morsel of hope? The final ten minutes are a sobering display of grief, ending with one last daydream that spies the young boy – now liberated from flesh – running eagerly across water towards more promising destinations. How curious it must have been to be an American moviegoer seeing such a moment long after Hollywood’s grasp had defined a set of rather limited principles. Were viewers shocked and dismayed by this sort of climax, or overpowered by the sway of such glaring honesty? Did it violate the basic attitude of why they went to the movies? Or did it assist in evolving their outlook? The genius of the most important filmmakers rests beyond the implication of striking mere chords; they seek to rewrite the lectures we accept as the formula of experience. Not unlike his hero, Tarkovsky too saw the dehumanizing nature of World War II in his early years, and through that knowledge encouraged the necessity of education in a medium where most could only see the glitz and glamour of mere entertainment. Strange to think of such responsibility resting on anyone’s shoulders, least of all a man who never imagined doing more than being a simple cameraman for moving pictures. "Ivan's Childhood" is the seventeenth article in this series.